The SarahPAC One Nation bus tour Rolls On! Show your support for the Fundamental Restoration of America and the One Nation Tour today! 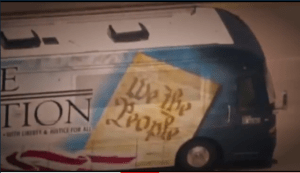 As published at SarahPAC: The SarahPAC One Nation bus tour Rolls On! We are very happy to jump back on the bus for another leg of our “One Nation Tour”! We accept with gratefulness an invitation to meet folks at the Iowa State Fair in Des Moines this week. The heartland is perfect territory for more of the One Nation Tour as we put forth efforts to revitalize the fundamental restoration of America by highlighting our nation’s heart, history, and founding principles. Unlike next week’s Obama Bus Tour, taxpayers aren’t funding our tour, which is why we so appreciate your support in allowing us to be out there on the open road to visit with you to highlight small towns, big-hearted people, and the important role they play in our most exceptional nation. You can participate with support for the “One Nation Tour” through SarahPAC.com and following virtually by bookmarking the SarahPAC website. We’ll have updates from the road as our Constitution-draped bus travels to shine a spotlight on more of our nation’s fine history. Watch this video and let the American road inspire you! Thank you for your continued support of SarahPAC. 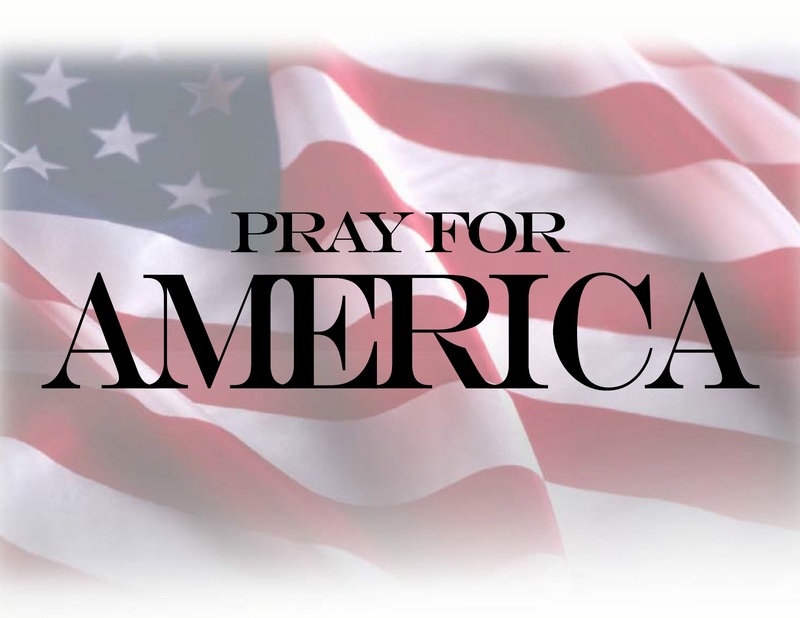 Let’s stay committed to the worthy cause – restoring all that is good and strong and free in America! With all due respect to the other candidates, the Republican race will come down to the Liberal Republican, Mitt Romney, the Moderate Republican Rick Perry and the Conservative Republican Sarah Palin. Only the MSM would exclude Palin while promoting candidates who are marginally different than Obama. Candidly, the MSM will also downplay Palin so the wobbly kneed Obama would not face alone the force of her campaign. Contrast Palin walking out on the stage waving to the crowd, going to the lectern, looking directly into the faces of the public, and stating her position clearly, without equivocation and without a teleprompter. Now, Obama would bounce up the steps with his little jaunty style, and walk up to the podium, ask for the teleprompter to be turned on, and then state “I have put in place economic measures that will become noticeable in 2013. These hope and change programs are what you elected me to do in 2008, but because of the recession given to me by Bush, I needed to adjust my timetable. In order for me to complete the transition, you will need to trust me to deliver on my promises”. We now know the hope and change policies Obama sold to the public and the MSM are simply words with no substance They were spoken by an individual with no track record and who was given credence by the co-conspirators at the MSM . His record is now open to anyone who cares to see what he has done and it amounts to nothing. Obama will be defeated in 2012. He has made his own bed. We now must turn our attention to who will be the next President of the United States. It will be a Republican and the only question is which one of the three, Palin, Perry or Romney will be our choice. By default, MSM will want Romney elected. Of all Republicans he fits most nicely into what their core values are: Bigger government. Just 5 years ago he was for public health care. But, now says he is against it, although he will say he won’t increase taxes, he comes from the progressive wing of the party and we simply don’t know how he will react under pressure. Unlike Palin, Romney has not faced the prospect of having a poll, or the MSM, or a loud chorus of opposing views challenge his value system. Conservatives are not sure what his value system really is as he changes it frequently depending on which way the wind is blowing. Palin has faced every possible missile thrown her way and will still stick her face in the middle of a union rally, or question the value of all subsidies, let alone the corn subsidy and interject her position right at crucial time of the vote on the debt ceiling. She is amazing and fearless, but isn’t that what we expect from a leader? Where was Romney except to say he was against the debt vote after it was made. Big Whoop. Mitt…..if you are going to be a leader, be a leader, and don’t criticize de facto. Ok, so vote for Romney only if you want to take a chance on the newest version of hope and change. Rick Perry is another story. Unlike Palin where we know what she has for breakfast, Perry is relatively unknown nationally and we need to see what went on in Texas to look into his soul. If he does announce, and if he has a chance in the early primaries against Palin, he will be treated with kid gloves by the MSM. The MSM will continue their onslaught against Palin, but fortunately this time around, she will not be muzzled by campaign managers. Perry was the anointed one by Bushes. They have had their differences since the appointment, but there should be no illusions about his moderate background. Remember the Bushes who #1 said he wouldn’t raise taxes but did and then #2 spent our money at a pace not seen before Obama broke all records. That is the inherited template for Perry. You need to look no further then noting the fact the debt in Texas increased under Perry. Sounds like he was doing some heavy spending even in the good times enjoyed by Texans. Perry’s template calls for taxing and spending, hmmm, sounds similar to someone we do know. Palin is the logical choice to champion a change from this disastrous course we are now on and you will not see a better exposition of this then to watch the movie “The Undefeated”. 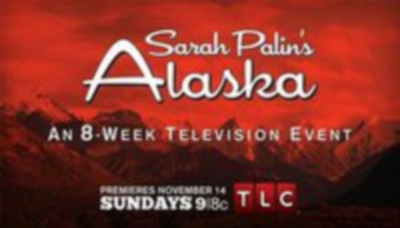 This movie shows this incredibly strong individual in full charge of setting her agenda in Alaska. The agenda brought 80% approval ratings compared to our current incumbent’s 40%. She reduced spending although the income was increasing! Can you imagine what could have been done in the last three years with Palin in charge. Our AAA rating would still be intact.